The intensive Arabic programs (1 month / 100 hours) are organised by IFPO’s department for Medieval and Modern Arabic Studies (Département des Études Arabes, Médiévales et Modernes / DEAMM de l’Institut Français du Proche-Orient) under the responsibility of Sabrina Benchenaf (Associate Professor, Ifpo) and the direction of Pr. Frédéric Imbert (Director of DEAMM). They are aimed at people who wish to deepen their knowledge of the Arabic language and culture on a personal or professional level (students, defense staff, journalists, NGOs, etc.). 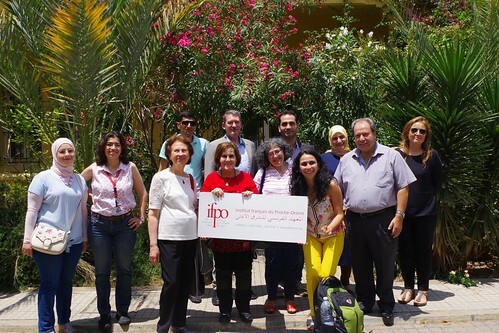 Each year, Ifpo’s intensive Arabic language courses welcome trainees from all over the world. Ifpo does not offer courses to beginners in literal Arabic (MSA). 9 included. Students must have arrived at Beirut by the 27th and 28th of June 2019 in order to take the oral exam which is used to place students into the correct group based on their level and participate to the pre-entry meeting (attendance for the test is obligatory). Week end: Saturday / Sunday. 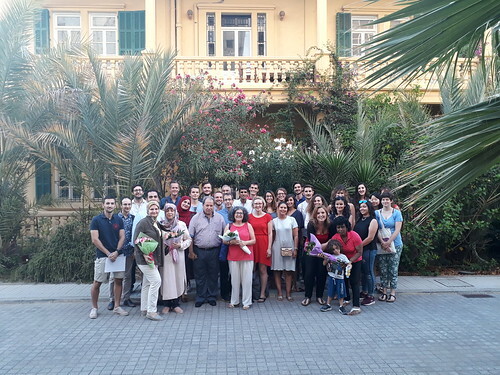 September course in Beirut, Lebanon: From the 3th September until the 27th September 2019 included. The oral tests to place the students into the different level groups and the pre-entry meeting will take place on 2nd September morning (attendance for the test is obligatory). Because of the pre-entry placement tests standing on the Monday 2nd September, classes of Monday 2nd September are exceptionally postponed to Saturday September 7th 2019. Week end: Saturday / Sunday. July summer course in Amman, Jordan: From the 2nd of July until the 30th of July 2019 included. Students must have arrived in Amman by 30th of June & 1st of July 2019 in order to take the oral exam which is used to place students into the correct group based on their level and participate to the pre-entry meeting (attendance for the test is obligatory). Week end: Friday/Saturday. 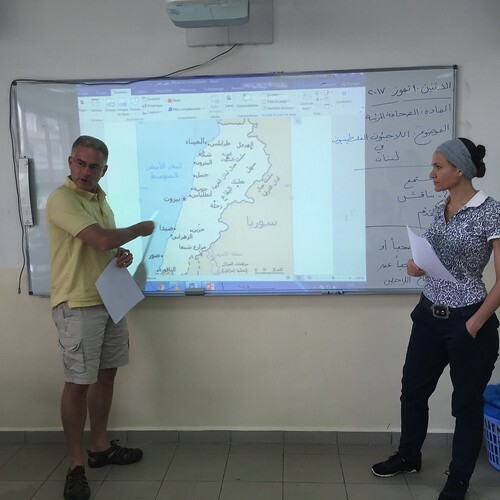 The courses are given in Arabic by Lebanese, Jordanian and Syrian teachers whose Arabic is the mother tongue and has a solid experience of teaching Arabic as a foreign language. Students are placed according to their level in small groups (maximum 12 people) and receive 25 hours of classes per week (5 hours a day for 4 weeks) for a total of 100 hours of Arabic. When they arrive at Ifpo, the students accepted are evaluated orally in MSA and dialect. These tests, which take place during the pre-entry, allow students to be placed into groups of level in both MSA and dialect. The intensive course of Arabic offers several level groups in literal Arabic (MSA) and Arabic Syro-Lebanese and Jordanian. It should be noted that it is possible to be a beginner in dialect, so a student can be placed in the most advanced level group in literal Arabic (MSA) and in the beginner group in dialectal Arabic or vice versa, his placement depending on his results in the written test conducted remotely and oral tests of literal and dialectal carried out on day of pre-entry. The course offers 25 hours of group courses in the following areas (offer adapted to the profile of the student): MSA grammar, written expression and comprehension, oral expression and comprehension, reading and dictation, written press, audiovisual press, social issues, modern history, classical and modern literature. Syrian-Lebanese or Jordanian dialect (grammar and expression) teaching is also offered (beginner level accepted). 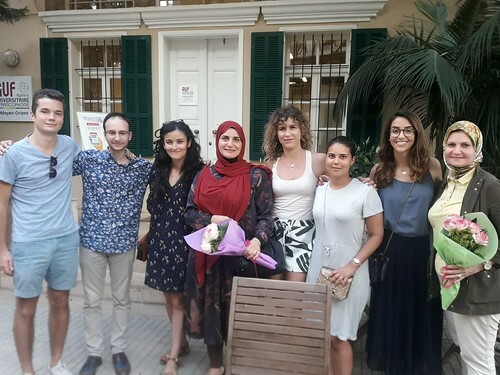 no later than 30thJune 2019 (deadline) for the September course in Beirut. an applicant information form (download below) + 1 identity photograph scanned into 1 single PDF file. an Arabic written test (MSA) (to download below) and return as a single PDF file. The test is obligatory. Three levels of testing are available for download: you must download the one that corresponds to your profile (1, 2 or 3). It is fundamental that the test be carried out according to the formulated conditions: 3 hours, dictionary authorized. Attention, if the candidate fails to finish his test under the conditions of time (3h), he must send it as is. Anyway, the accepted candidates will be tested on their arrival, during pre-re-entry days: oral tests (literal and dialectal), and this in order to divide them into groups of levels. If the trainee is a beginner in dialectal, he will only be tested in MSA. may be proposed on the other site (Beirut or Amman). 1 200 euros(€) must be paid in full no later than 15th June 2019, for the intensive courses of July 2019 in Amman & Beirut. 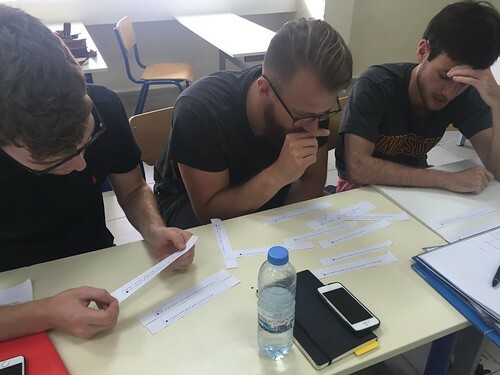 1 200 euros(€) must be paid in full no later than 15th July 2019, for the intensive course of September 2019 in Beirut. The amount paid will not be refunded in case of withdrawal, except for medical or professional reasons (duly justified). If payment of the full registration fees is not made by the dates indicated, Ifpo authorizes you to cancel your registration. Payments are made according to Ifpo payment terms specific to each country (please read the payment terms, available below for download). Bank transfer remains the simplest and fastest method of payment, the Ifpo bank account in France. You can download the Ifpo RIB (IBAN) below. Students are expected to find their own accommodation prior to their arrival, the Institute provides them with up-to-date information on the addresses of apartment and room owners recommended by trainees of previous sessions. Trainees can also access practical information via social networks. We strongly advise to arrive in Beirut or Amman at least one week before the beginning of the courses to settle some formalities and to find an accomodation. Trainees must be present at Ifpo before the start of the session to take the oral test (see pre-re-entry dates / calendars available for download). For all information concerning visas, sanitary/living conditions and security issues for Jordan and Lebanon you should consult your country’s foreign office website, specifically the page ‘advice for travellers’ (http://www.diplomatie.gouv.fr/fr/conseils-aux-voyageurs/conseils-par-pays/liban/ or http://www.diplomatie.gouv.fr/fr/conseils-aux-voyageurs/conseils-par-pays/jordanie/ ). Equally, you can visit the Jordanian/Lebanese embassy in your own country.